The most essential step of your skincare routine, a good facial cleanser ensures that all traces of makeup, oil and dirt buildup is removed without stripping skin of moisture. 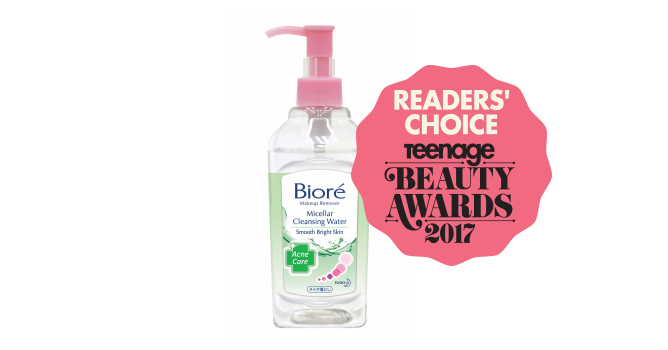 As part of our Teenage Beauty Awards 2017, here’s a list of 16 effective yet gentle cleansers for you to choose from. 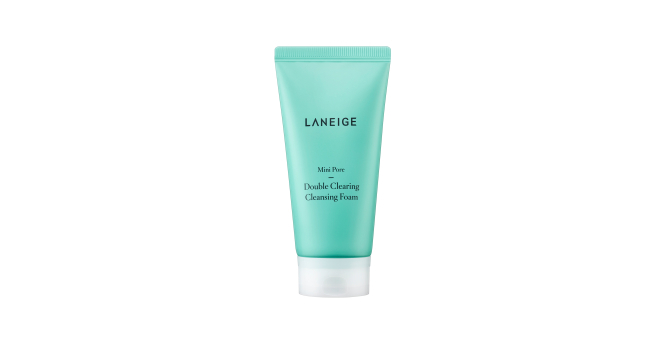 Need a thorough cleansing for even brighter and clearer skin? Garnier’s Pure Active Matcha De-Tox Foam will do just that. Containing matcha extract, which is a powerful antioxidant, this cleanser dissolves oil, brightens dullness and cleanses pores from deep within. Great for oily and breakout-prone skin, it’s also formulated with salicylic acid, which reduces excess oil by up to 96% and helps to prevent acne. 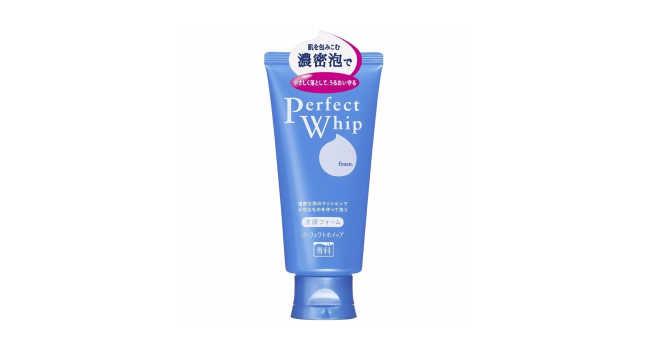 The SENKA Perfect Whip is a facial cleanser that leaves your skin feeling moist and smooth due its highly-moisturising, naturally-derived silk essence and double hyaluronic acid compound. The silk essence is newly-formulated with hydrolysed silk, and works to protect the skin from various external irritants and it continues to restore this barrier so that it will guard the skin well in the long term. Perfect for those with dry skin, this cleanser ensures squeaky clean skin without stripping away the moisture on your face. Hada Labo AHA+BHA Exfoliating Face Wash, $13.90 A mild daily exfoliating face wash that will give you baby soft skin without being too harsh on your complexion, this Hada Labo gem has a Triple Anti-Pollution Formula (comprising Moringa seed extract, Phytic acid and Biosaccharide gum-4) which removes external pollutants, reduces damage and protects skin. Simply lather up and cleanse away! 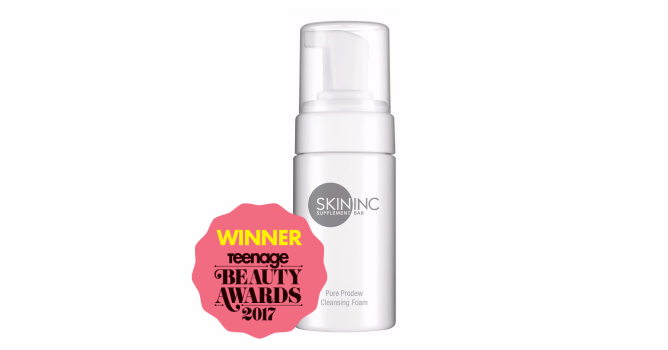 Skinfood Honey Flour Cleansing Foam, $16.90 The Skinfood Honey Flour skincare line has four different types of cleansing foams – Moist, Sensitive, Fresh and Brightening. The Moist version helps to keep moisture in the skin intact, Sensitive has anti-inflammatory properties and it is so gentle children can use it too, Fresh is packed with wheat flour that absorbs sebum and impurities, and lastly Brightening is a scrub and foam cleanser packed in one product that helps you exfoliate your skin by scrubbing off the dead skin cells. If you’ve always followed the double cleanse method, and find it a hassle on nights when you are just too tired to bother, then this Shu Uemura cleansing oil does just the job well. The formula really removes all sort of makeup; long-wearing, waterproof, you name it. The aftermath? Your skin is soft, supple, and it feels like it’s being moisturised and cared for till the next morning. 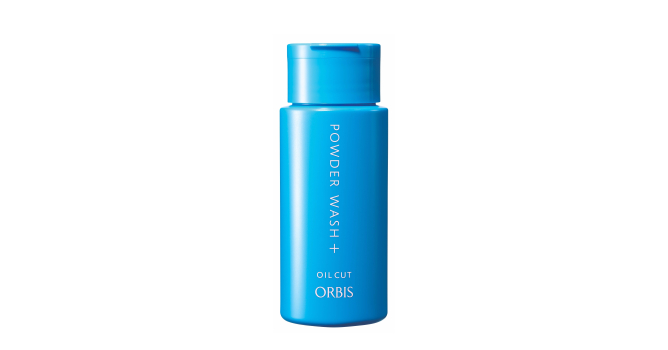 ORBIS Powder Wash +, $25 Specially-formulated with two different enzymes – protease and lipase – the ORBIS Powder Wash tackles the old keratin and sebum components of keratin plugs, effectively targeting and breaking them down in order to rid them off our pores. It comes in powder form but turns to a really dense foam when in contact with water. Do not be fooled, because this formula helps exfoliate your skin gently and removes blackheads over time too. The pH 6.5 Whipped Cleanser contains 98% plant-derived ingredients, the highest in the entire Soon Jung line, that ensures enhanced skin protection. This gentle skincare line is specially designed for those with sensitive skin and experience daily skin problems due to stress or dust. The pH level of 6.5 helps balance out your skin and works to prevent less breakouts with red, painful pimples. A mild cleanser enriched with Vitamin E to help condition and protect the skin, this product will leave your skin feeling like it has been thoroughly cleansed, whilst retaining its natural oils. It removes light makeup along with excess oil and unwanted impurities. Suitable for sensitive to dry skin types, it’s a joy to know that The Body Shop doesn’t test their products on animals. The one thing that makes Biore’s facial wash stands out is its new unique pump technology that forms finer and denser micro bubbles which makes the foam more stable. This allows the foam to preserve its fluffiness for a longer period of time so it can penetrate deep into the pores to remove all dirt, oil and impurities without drying out the skin. It saves the hassle of you lathering your own foam, which may not be fine enough for a thorough cleanse. Quite extraordinary, this smart triple-action cleanser brightens, hydrates and cleanses in one quick, easy step. 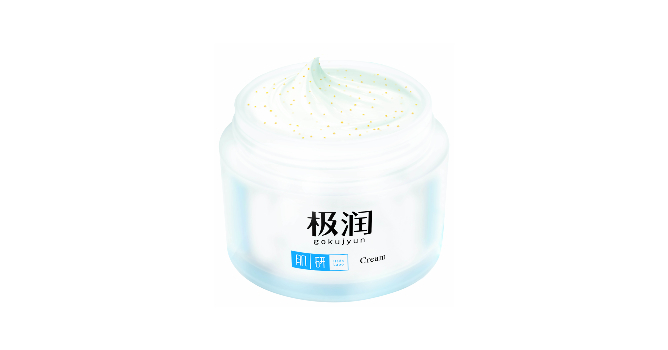 Containing eight kinds of amino acids and soybean extract, the ingredients reduce dullness by deep cleansing skin, enhancing skin cells’ metabolism and plumping skin with moisture. It is suitable for oily and acne-prone skin as well. Using LANEIGE’s Pore Refining Technology, this cleansing foam is formulated with Mint Water that moisturises and provides relief, and pore-refining ingredients like Cypress Extract and Pine Needles. These ingredients work together to provide a soothing effect while controlling sebum production to make your skin feel clean and fresh. The ASTALIFT Lunamer AC Fibre Foam is a gentle foam facial wash that contains extremely fine fibres that penetrate deep into pores to remove sebum, dirt and acne- causing bacteria. It produces a rich lather for a gentle, through cleanse and a clean, smooth finish. Tip: use the given foaming net for better results! Similar to the Biore Marshmallow Whip, Curél’s Foaming Wash comes in a pump bottle and it saves you trouble from trying to lather your own. Known for its advanced ceramide care technology that helps retain and restore the protective layer of your skin, the formula removes just the right amount of sebum, leaving your skin to feel comfortably dewy. 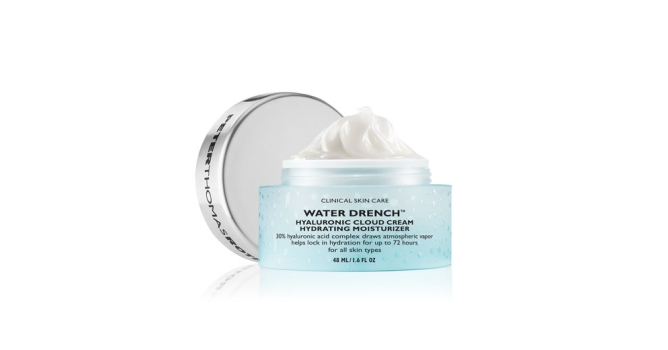 It is best suited for dry skin users. Need a boost? The Detoxifying Citrus C Facial Cleanser invigorates your skin with a potent fusion of natural ingredients; Wheat Protein smoothes and strengthens skin and Vitamin C and Beta Carotene work to detoxify, protect and energize, giving you softer, younger-looking skin. FYI, it’s vegan too! Part of THEFACESHOP’s first cosmeceutical (cosmetics + pharmaceutical) line, the products in this series aim to help consumers combat dry, sensitive, eczema, oily and acne-proned skin. Hence, you can expect a cleansing foam that is lightweight and gentle, minimising any skin irritation. Moreover, it is especially moisturising and soothing too, perfect for troubled-skin days. The BioCleanse skincare line of Swedish brand Estelle & Third, this cleansing foam washes away makeup and impurities with the gentlest touch. Black Elderflower extract that is infused inside helps detox and decognest the skin revealing a refreshed and radiant glow. Overall, this cleanser helps to balance out your skin for a silky, smooth complexion. Get ready to take notes. 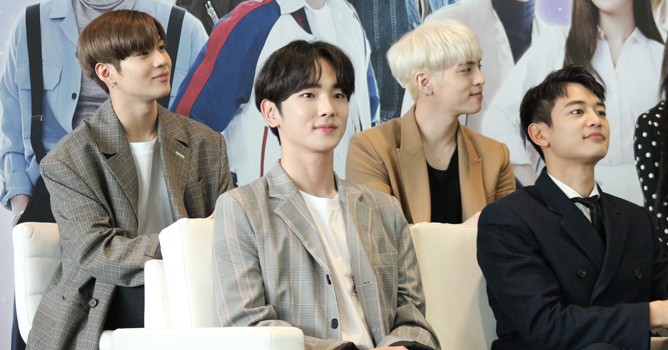 K-pop mega groups SHINee and Red Velvet were in town last Friday for the Shilla Beauty Concert, and at an earlier media conference held at Changi Airport Terminal 4, they shared some super handy beauty tips on how to look fabulous. So, let’s dive in! 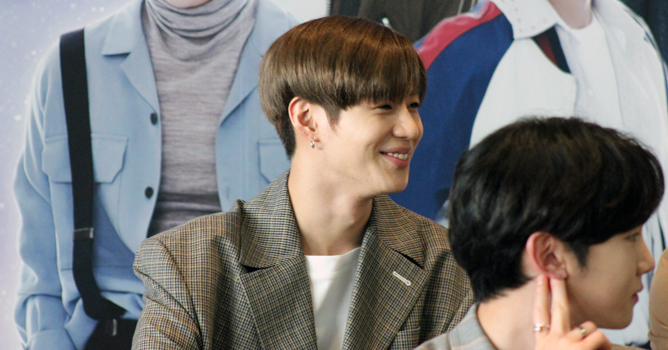 Being a K-pop idol involves demanding work schedules, dealing with the media, and being there for their loyal fans. Yet amidst all the craziness, every single one of them emerges on and off screen in that perfectly polished and flawless appearance that inspires serious obsession (and envy) among fans. 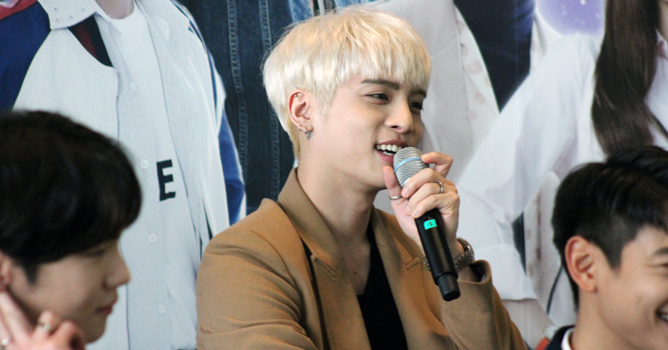 Really, no one knows how to look better than a K-pop star. 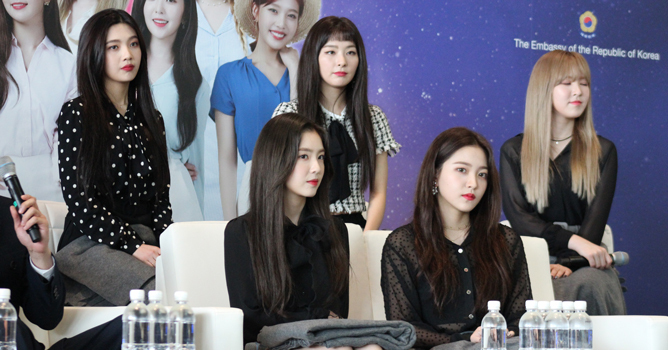 So, if you’re wondering how they pull it off, we caught up with SHINee and Red Velvet at the media conference for Shilla Beauty Concert. Here’s what they shared about their everyday skincare routine and the must-have items in their makeup bags. Your hunt for a trusty eyeliner stops here. 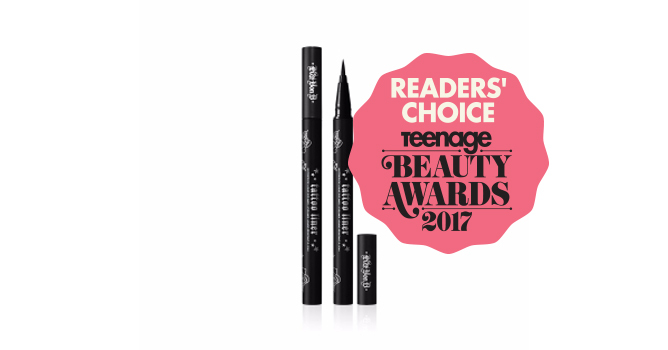 As part of our Teenage Beauty Awards 2017, we’ve sieved out 11 long-wearing drugstore and high-end eyeliners that’ll bring your look from day to night. While most might prefer a liquid eyeliner, the ETUDE HOUSE Super Slim Proof Pencil Liner has a soft formula that slides on easily without tugging on the skin. At only 1.5mm thin, this pencil eyeliner will allow you the precision to achieve intricate eyeliner looks – it is waterproof and holds up well when in contact with oil too. This affordable eyeliner comes in a range of colours and they are perfect for days where want an extra oomph. 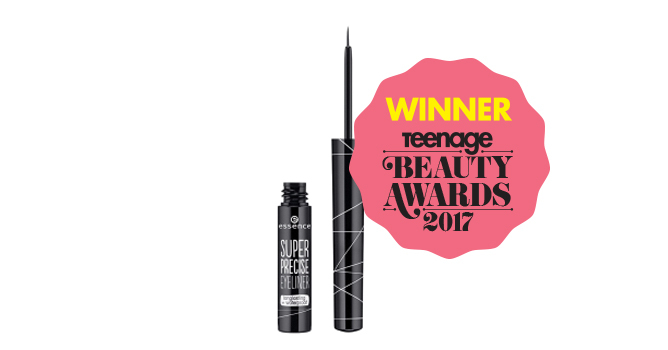 We were pleasantly surprised when this ultra budget-friendly eyeliner snagged the top spot against the other heavyweights on this list. A drugstore eyeliner that ticks off all the boxes, this essence Super Precise eyeliner lives up to its name; ideal for drawing both thick and thin lines to close precision with its fine brush tip. And its formula absolutely doesn’t budge nor flake throughout the day, making it our go-to eyeliner for when we need our eye makeup to really hold up. Cost-effective and high performance, the Kate Super Sharp Liner comes in three shades, BK-1, BK, and BR-1 where BK-1 is jet black. The eyeliner is pretty solid – it is well-pigmented and waterproof. However, it is not smudge- and oil-proof and may flake when worn for long hours. Patting on eye primer before applying your liner can help it stay on better throughout the day. The Catrice Eye’Matic Dip Liner is a little different from your usual eyeliner. While its glossy formula definitely does the job, its felt brush applicator is the highlight worth shouting about. 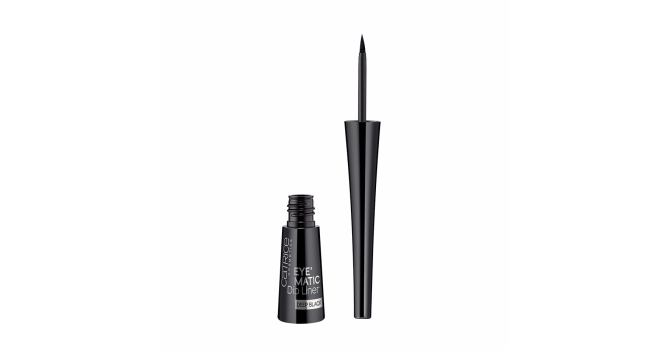 Sturdy and curved slightly to give you a good grip and full control, beginners will find it easier to create their desired eyeliner looks with this product. Want an pop of colour to spice up your look? 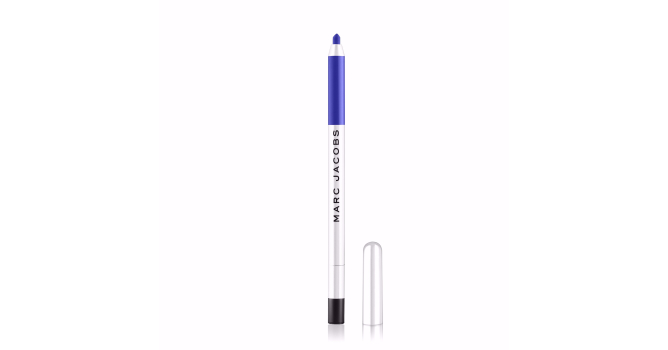 The Marc Jacobs Highliner Matte Gel Eyeliner will do the trick. Whether its lining your waterline for an unexpected edge or lining it on your lids, its highly pigmented gel formula glides on effortlessly and delivers extreme hues in a single stroke. Available in a wide range of colours, this eyeliner dries quickly in 20 seconds and results in a resilient flick that won’t wear off midday. shu uemura has proved to be a solid brand that whizzes out quality products, including this Lasting Soft Gel Pencil. Like the other eyeliners we’ve recommended, this pencil eyeliner is easy to manoeuvre and delivers precise application. However, while its buttery soft texture is great for creating a soft, smoky effect, those with oiler lids might experience more smudging at the end of a long day. Dubbed as an extremely easy-to-use eyeliner, the specially designed felt tip of this liner gives you full control in order to create precise and thin lines. Long-lasting and smudge-proof, it does not take mad skills to learn the art of perfecting the eyeliner with Browhaus’s Waterproof eyeliner. It can do anything from natural to dramatic, depending on how you work it. 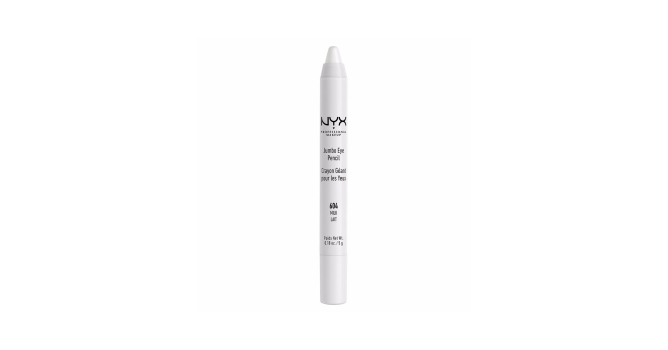 The NYX Jumbo Eye Pencil is said to last even when you’ve got oily eyelids. Coming in a wide variety of shades, this multi-tasker can be used as a flattering eyeliner, double up as an eyeshadow or even used as an eyeshadow base – simply layer over your eyeshadow and watch the colours pop! Want a sheen of glitter on your lids? 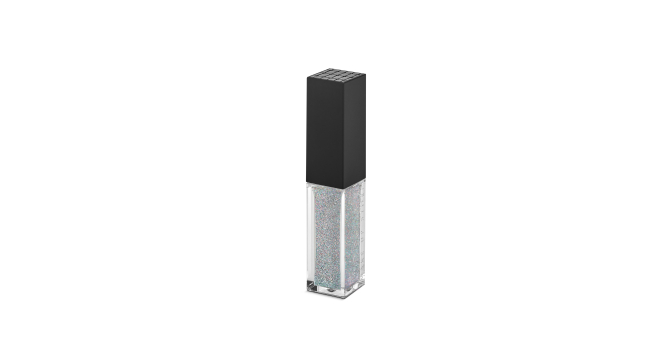 Reach for the Make Up Store Glitter Eyeliner. While its formula isn’t as opaque as we’d like it to be, you can build up the layers from subtle to head-turner in a few strokes – which makes it good for beginners. And it dries pretty quickly, so you won’t have to be afraid of smudging it up with glitter residue. At a highest laser-sharp precision ever of 0.01mm, this Maybelline liner allows ultra-fine lines on your lids. The colour is intense, and it defines your eyes beautifully. You’d be stoked to know that although the tip is super fine, it still offers a steady give, which allows you to draw really close to your lash line to achieve the feline flick of your dreams. Raved about in the beauty community, Kar Von D’s Tattoo Liner lives up to its name. Even without an eyelid primer, this product adheres on well on the lids without budging, putting your worries of raccoon eyes to rest. The brush is well-designed, making it easy to control the lines. However, the colour is not as dark and intense as most eyeliners, so you might have to go over it a couple times. 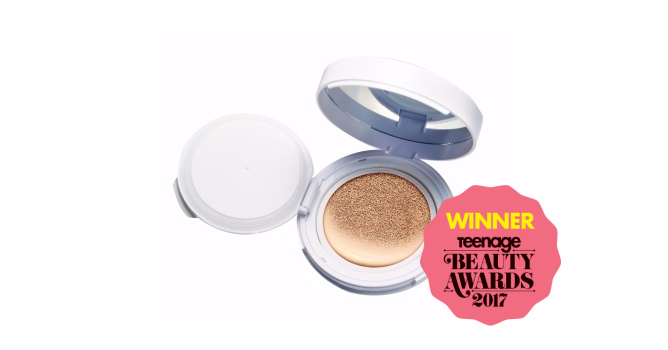 The first product you should reach for if you’d like to achieve a dewy Korean-inspired complexion, check out our top Teenage Beauty Awards 2017 cushion foundation recommendations for an effortlessly radiant glow. 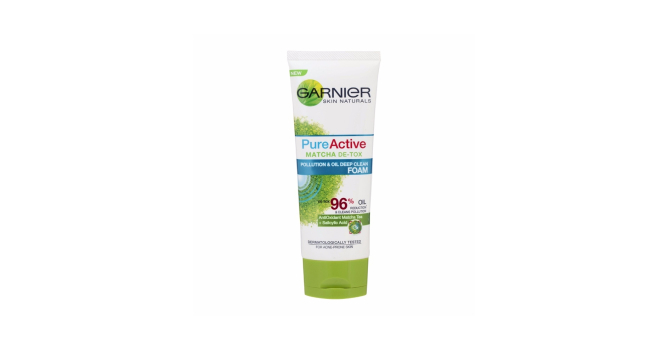 Clinically proven to give wearers a whopping 179% of skin hydration while being able to camouflage any skin imperfections, this all-in-one product also contains SPF 50+ sunscreen to protect skin from UV rays. Need more coverage? The ETUDE HOUSE Any Cushion All Day Perfect features a new roll-spread technology that allows product to adhere better onto skin, allowing you to build on layers without caking up. It also provides a sweat-proof effect that lasts up to 24 hours to further reinforce the sustaining power of the cushion. Coming in six shades, the formula is created to look natural on your skin. The hero that’ll save us from humid weather, THEFACESHOP’s Anti-Darkening Cushion is formulated to withstand humid and high-temperature environments, whilst ensuring no oxidation takes place (turning the formula into a dull orange shade). 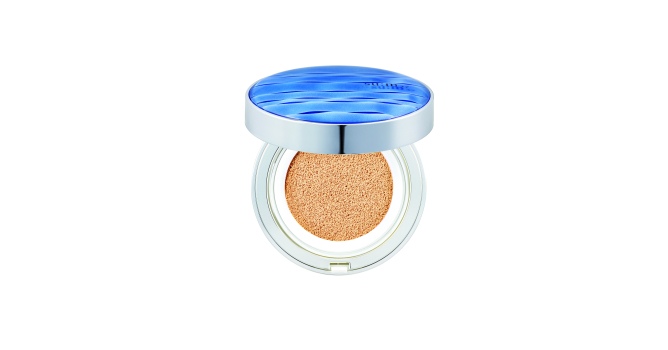 It’s also lightweight, which allows breathability for your pores, and brightens your skintone for a radiant finish. 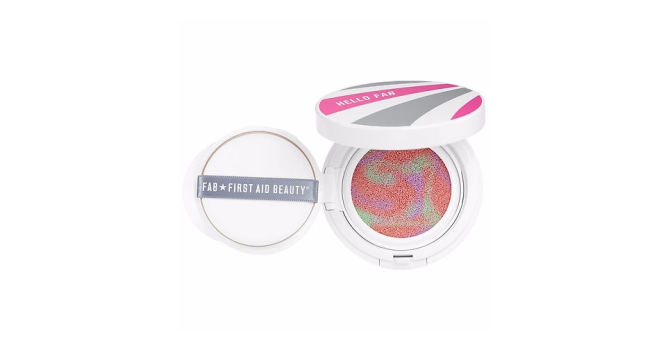 Incorporated with colour-correcting pigments – green to neutralise redness, pink to even out your skin tone and purple to reduce dullness and brighten your skin – the FAB 3 in 1 CC Cushion helps erase common complexion concerns. It is also great as a radiant base before your foundation. It blends into a pale pastel pink formula with a dewy finish that will add a radiant glow to your skin. Lightweight and fuss-free, the M.A.C. Lightful Cushion Compact releases liquid foundation in a superfine layer to achieve a natural satin finish and the coverage you desire. This way, you can wear it out for the entire day and still touch up without having to worry if the formula will cake up on your face. It has a matte finish, with medium to high coverage and still manages to brighten up your skin so you’ll look fresh for the day. 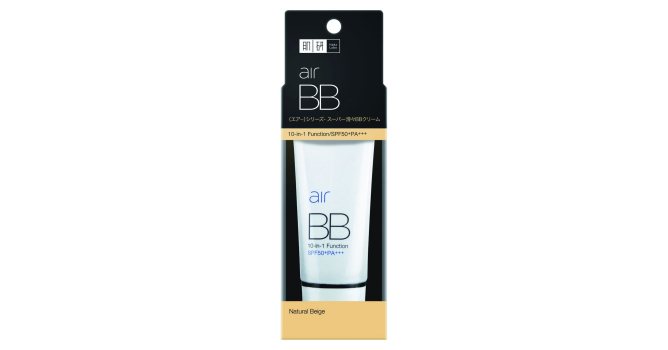 A lightweight, creamy formula that dries to a matte finish, the Hada Labo Air BB a great drugstore option. Able to be used as a standalone makeup base, or built up to full coverage, you won’t have to worry about it oxidising nor drying out your skin. With that being said, this product only comes in two shades, so those who require a more versatile colour range should give this a miss. 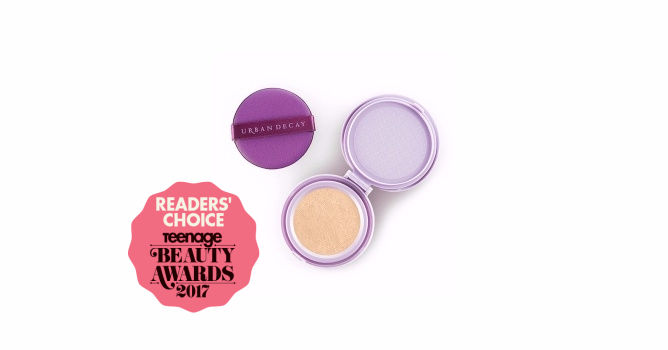 Glowing skin is particularly trendy right now, and Urban Decay is one of the many cult-brands that is joining the hype. 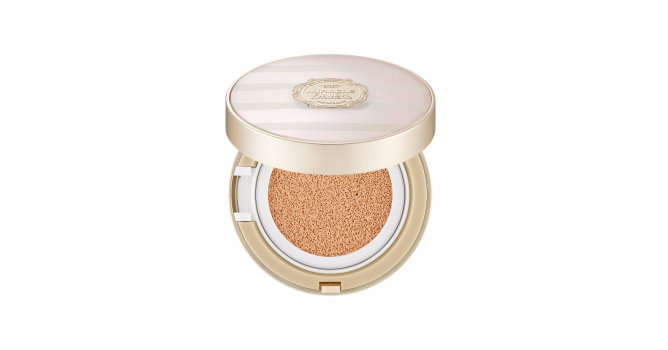 It’s latest Naked Skin Glow Cushion Compact leaves your skin with a beautiful glow that lasts all day. Moreover, it contains nourishing ingredients such as rose centifolia flower extract, which has toning and firming properties, gentian root extract that provides skin-soothing and antioxidant benefits and peppermint extract that conditions the skin. 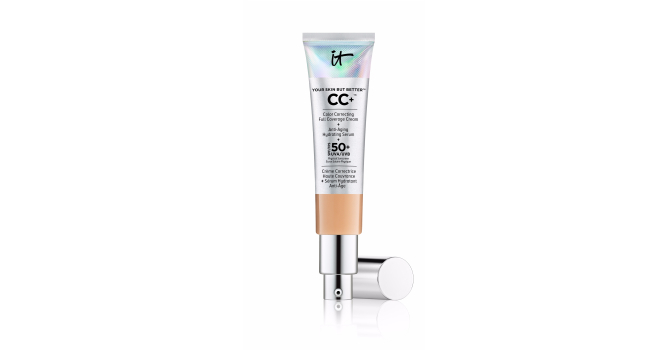 This CC Cushion is extremely hydrating, but you’ll be surprised to know it works really well on oily skin types too. 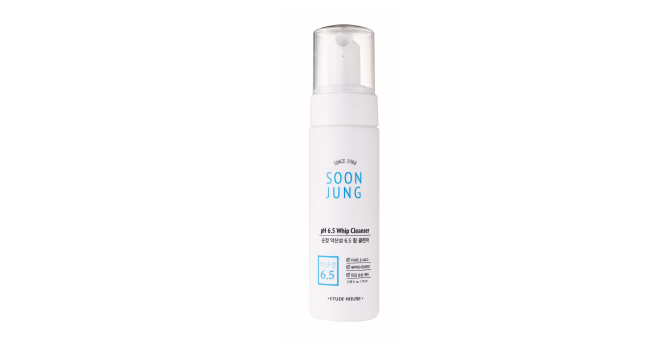 It contains ingredients to control sebum, as well as a multi-veil technology that keeps your makeup on for a long time, making it an ideal formula for the hot and humid weather. 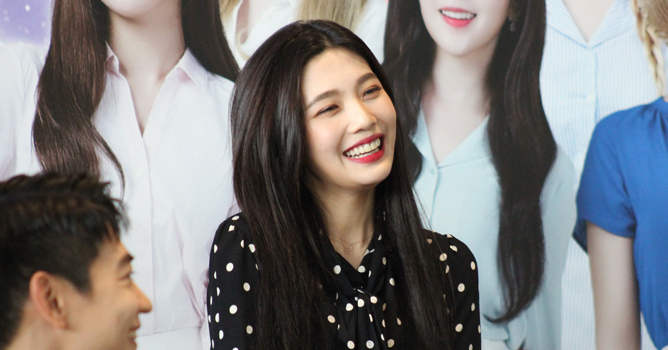 It contains a blooming powder that helps cover redness like charm too. Coming in five different shades, this 100% vegan liquid foundation comes in a nice cushion compact that aids the application process, giving it a smoother finish. It is suitable for sensitive skin users, and does not clog your pores like most foundations will. Infused with aloe vera extract, this helps to soothe your skin and any redness on your face. The one step of your skincare routine you should never skip, finding the right moisturiser for your skin type can be quite tricky. For example, getting one that’s overly hydrating can cause breakouts, while a moisturiser that doesn’t do enough will lead to dry and cracking skin. 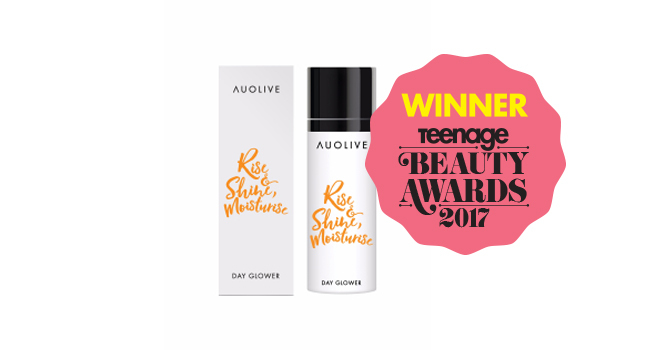 While not all moisturisers are created equal, here are the top Teenage Beauty Award 2017 recommendations ranging from high-end to drugstore brands to serve your different needs. 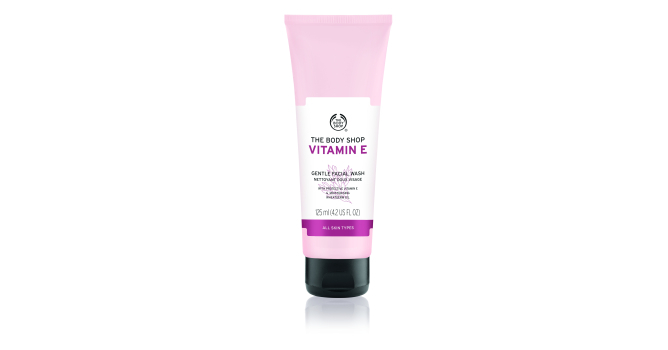 The Body Shop Vitamin E Moisture Protection Emulsion, $36.90 Hydrate and protect your skin in one easy application with The Body Shop’s Moisture Protection emulsion. A lightweight multitasker that boasts antioxidant wheatgerm oil and hyaluronic acid that leaves your complexion feeling supple all day, it also contains SPF30/PA+++ to shield skin from harmful UV rays. The moisturising lotion from Taiwanese brand For Beloved One is an all-in-one serum that serves to replenish moisture and protect your skin. 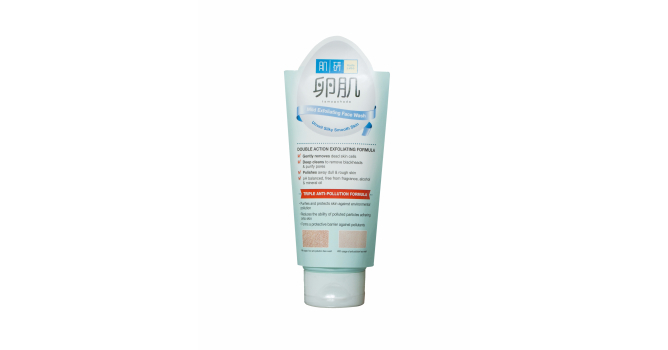 It is suitable for all skin types, especially for dry and sensitive skin. Containing GHK-Cu, the serum claims to help to slow down the aging process and improve skin elasticity. It is also scent-free, which is a plus point for those who are more sensitive to perfumed products. 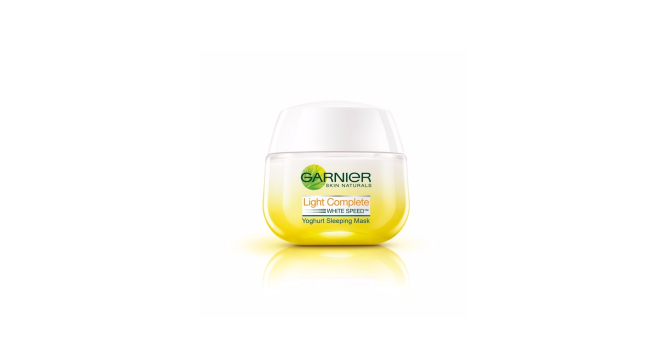 Garnier Light Complete Yoghurt Sleeping Mask, $19.90 Aimed to brighten up your skin, Garnier’s Yoghurt Sleeping Mask contains important skin-restoring niacinamide and brightening ascorbyl glucoside to work its magic. This works well on dry skin types, but not on sensitive skin users because it contains Lemon Fruit extract which may be excessively acidic. It is both sulfate- and alcohol-free too. Leave it on your face overnight, and wake up to brighter skin! Having difficulty finding the right moisturiser for your troubled skin? This trooper might be the one for you. 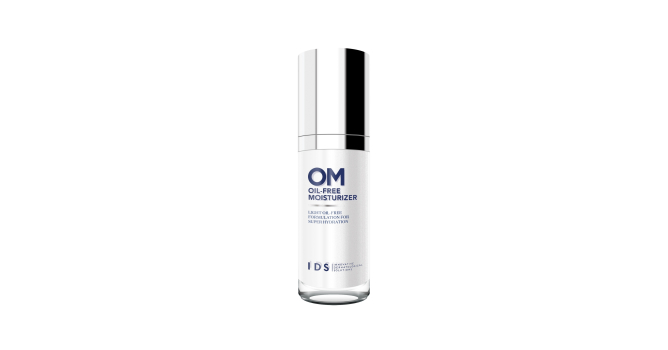 The IDS Oil-Free Moisturizer is specially formulated with ingredients that will regulate sebum, control acne, minimise shine and lighten blemish marks. It is packed with retinyl palmitate, a gentle Vitamin A derivate that aids in clearing up complexion by speeding up the recovery rate of cells. Cominng in a gel-like texture, the Peter Thomas Roth Cloud Cream lives up to its name as an extremely lightweight moisturiser that absorbs quickly and easily into your skin. It leaves skin feeling perfectly hydrated and exceptionally smooth, and it contains a very good mix of skin-repairing ingredients. 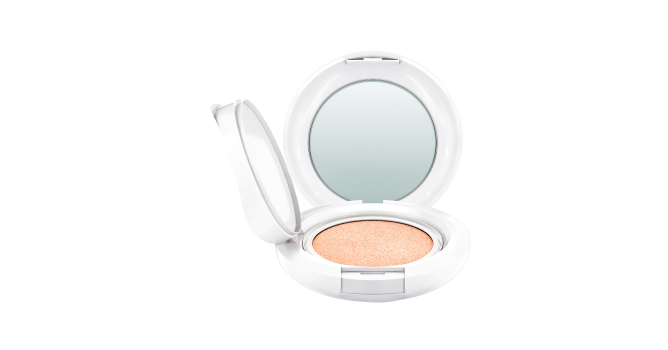 What’s more, the mineral Mica is included to give your complexion an extra glow. A new name on the market, Auolive is founded by Claire Au, a Singaporean who knows the struggle of maintaining a proper skincare routine while juggling a busy schedule. Enter the Auolive Day Glower, an all-in-one moisturiser that’s created to bridge the gap for those with little time for their complexions. An antioxidant moisturiser, this local offering also provides sun protection of SPF30, and works well as a makeup base, making your routine a lot simpler and faster so that you can get to school just in time. 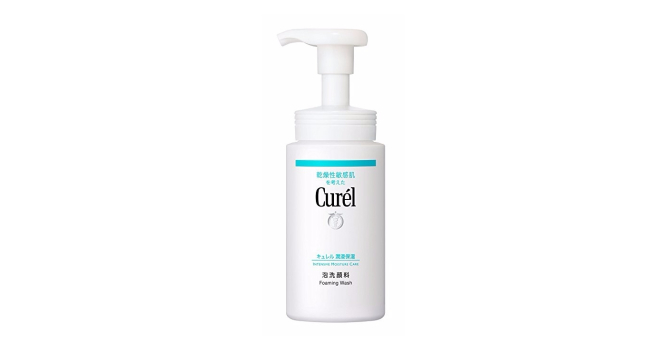 Curel Moisture Face Milk, $32.80 Works best on all skin types, this drugstore moisturiser is dermatologically-developed, ensuring that even sensitive-skin users can use it. The face milk contains pseudo-ceramide, an ingredient that is crucial in retaining the moisture in your skin, and eucalyptus extract, for its anti-inflammatory properties, ensuring that your face is protected and well-hydrated at all times of the day. Because it is so gentle on the skin, you do not have to worry about any potential breakouts when using this. 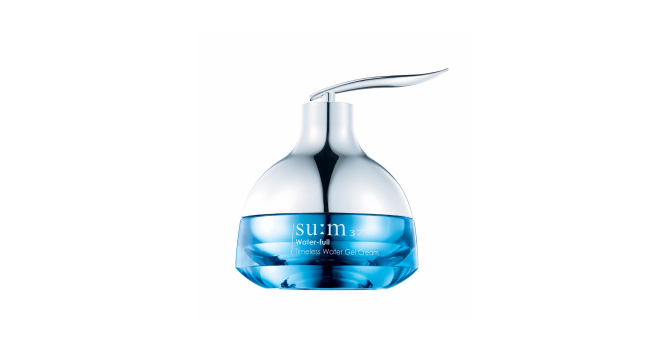 A premium Korean brand that recently landed onto local shores, su:m37’s Water-full Timeless Water Gel Cream is amazingly lightweight and yet delivers rich hydration that absorbs easily and quickly into skin. 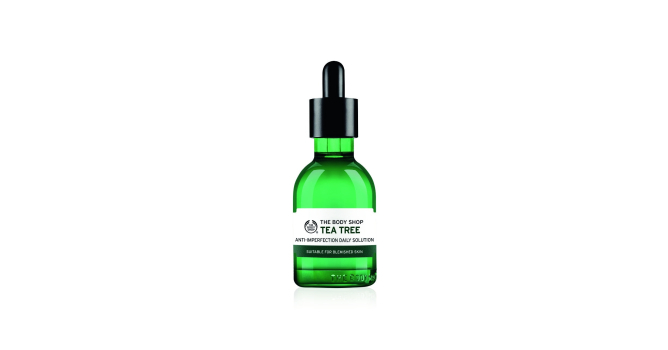 It’s formulated with Fermented Rose of Jericho and ceramide cream to enhance and firm of skin’s texture. 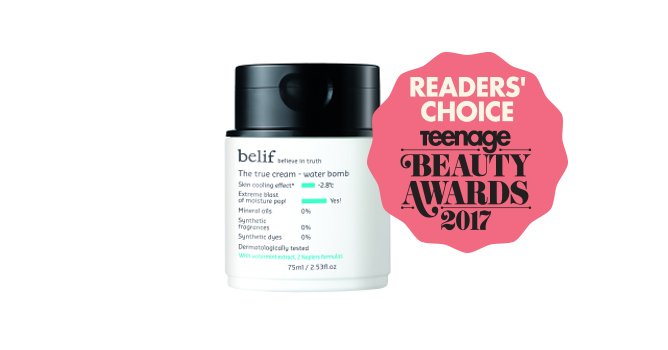 Designed for combination to oily skin types, this is the third addition to Belif’s The True Cream line and the lightest in consistency. It is said to be able to cool your skin of about -2.8°C when tested at 35°C, which is caused by the bursting of water droplets upon contact with your skin, and it feels nothing short of refreshing. 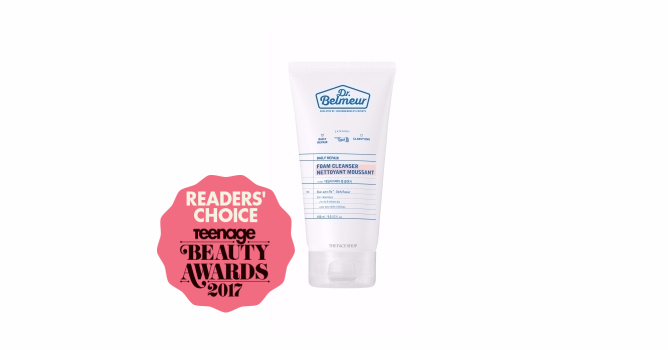 It hydrates and plumps up your skin without causing any sticky residue, and we can see why this is the Readers’ Choice for the year. The Hada Labo Super Hyaluronic Acid Hydrating Cream is infused with four types of Hyaluronic Acid which deeply penetrates the skin to hydrate and help restore skin’s moisture barrier to prevent moisture loss. Its richness and intensity make it a perfect night-time moisturiser that works well on all skin types. It is fragrance-, alcohol-, oil- and colourant-free, making it a preferred choice for sensitive-skin users too.